Lin-Manuel Miranda’s hip-hop musical about the life of Alexander Hamilton has been called sensational, groundbreaking, and the most significant musical of the decade. 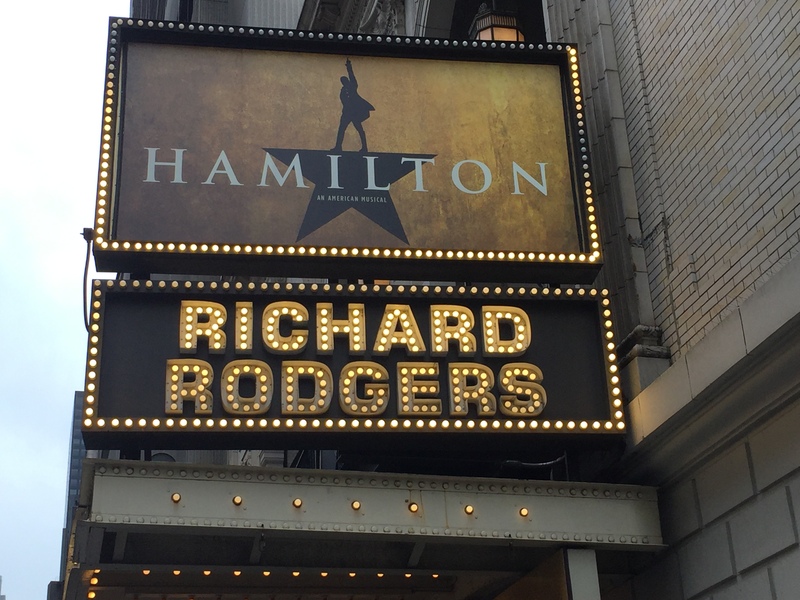 After a sold-out run at the Public Theatre, Hamilton has come to Broadway! Lottery – There is an online ticket lottery through Broadway Direct. Only 1 entry per person. Entries are accepted on the day of the performance. Each entry can request up to 2 tickets. Winners will have the opportunity to purchase up to 2 tickets for $10 each. Tickets must be purchased by credit card through the website within the allotted window, 60 minutes after winners are chosen. Note: There is no digital lottery for Wednesday matinee performances at this time. Wednesday Live Lottery – There is a live lottery for Wednesday matinee performances starting at 12:00 PM. Only 1 entry per person. At 12:30 PM, names are drawn for 21 front row tickets. Each person on their entry can request up to 2 tickets. Winners will have the opportunity to purchase up to 2 tickets for $10 each, cash only, and they must be present to win and have a photo ID matching the name on the entry form. Best Performance by an Actor in a Leading Role in a Musical – Leslie Odom, Jr.